Featuring unique industrial styling, the Mercedes-Benz G-Class quite simply doesn’t look or perform like your typical sports utility vehicle. Offering three trim levels – two of which are AMG®-enhanced – the G-Class keeps its military background alive with astounding power, world-famous off-roading talents, and a hand-built luxury cabin. When it comes to performance and comfort, there’s almost nothing the 2017 Mercedes-Benz G-Class can’t do or provide. Read on to find out why the G-Class continues to be one of RBM of Alpharetta’s favorite SUVs! 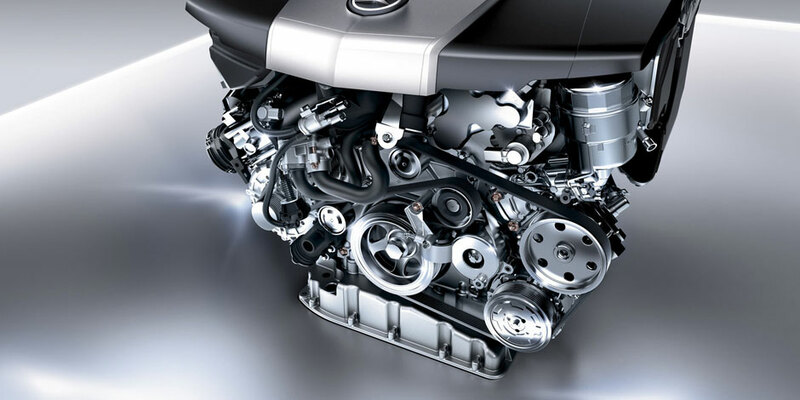 Capable of producing 416 to 621 hp, and 450 to 738 lb-ft of torque, the 2017 Mercedes-Benz G-Class owes its strength to three engines: a 4.0L biturbo V8, a handcrafted AMG® 5.5L biturbo V8, and a handcrafted AMG® 6.0L biturbo V12. Equipped with a 7G-TRONIC® automatic transmission, permanent 4MATIC® all-wheel drive, and a 2-speed transfer case, the G-Class offers more gear ratios than any other SUV on the market. A signature of the AMG® trims, the electronic AMG® E-SELECT gearshift lever lets Johns Creek drivers shift between R, N, and D with a soft push. With such an impressive collection of performance features to its name, it’s no wonder the G-Class is renowned for its gritty off-roading abilities. You’d be hard-pressed to find an SUV more inviting than the Mercedes-Benz G-Class. Crafted by hand, the five-person cabin is decked out with a sunroof, leather topstitching, and a medley of trims. Designed for complete comfort, the front seats include a 10-way power adjustment, driver memory settings, multi-contouring, and a heating/cooling function. While all G-Class trims feature leather upholstery, the AMG® G 65 boasts designo® Exclusive Nappa leather in Classic Red, Porcelain, and more. The rear seats split-fold into a 1/3:2/3 split to transport golf clubs, boat oars, and more, while seating up to two rear passengers. Folding the rear seats down completely, however, gives you a whopping 79.5 cubic feet of cargo space. If you’re always on the lookout for the latest techy gadgets, you’re sure to feel right at home inside the new Mercedes-Benz G-Class SUV. Located at eye level with the driver information center, the high-resolution COMAND® display screen puts Alpharetta drivers in control of the Bluetooth®* interface, harman/kardon® Logic 7®** sound system, and Media Interface. The voice control system lets you access COMAND® hard-drive navigation in a pinch, and includes a learning feature that adjusts to your diction. For a period of five years, you’ll also enjoy complimentary access to mbrace® Connect – a package that includes Remote Start, Internet Browser, Remote Diagnostics, Roadside Assistance, and much, much more. Standard driver assists like PARKTRONIC®, Distance Pilot DISTRONIC®, and Blind Spot Assist span across the entire G-Class lineup. PARKTRONIC® uses ultrasonic front/rear sensors to detect nearby vehicles and objects as you maneuver. Blind Spot Assist operates similarly, but uses its radar technology to monitor the sides of the G-Class. Distance Pilot DISTRONIC®, an intelligent adaptive cruise control system, automatically slows your vehicle to match traffic flow, and lets you speed up again with a quick tap. The Bi-Xenon headlamps and LED Daytime Running Lamps extend your line of sight on dark roads and in stormy weather, while the rearview camera makes it easier to park the 187.6-inch long G-Class. 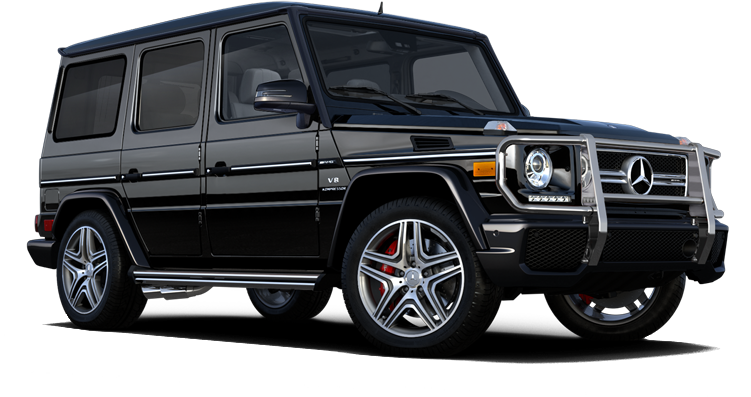 Starting at $122,400, the entry-level G 550 SUV tows up to 7,000 pounds with the help of a 7G-TRONIC® automatic transmission and a 416-hp 4.0L V8 engine that’s arranged in a performance-boosting “hot inside V turbocharger” configuration. 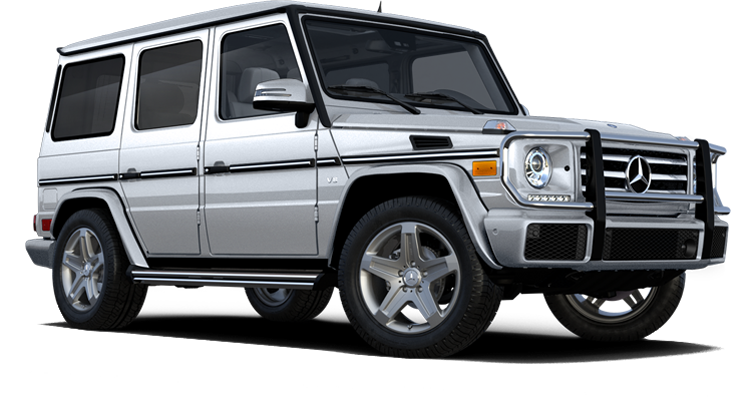 Equipped with COMAND® hard-drive navigation, three lockable differentials, and permanent 4MATIC® all-wheel drive, the G 550 introduces the G-Class family’s seemingly limitless off-roading skills. The AMG® G 63 SUV is propelled by a 563-hp AMG® biturbo V8 engine, an AMG® SPEEDSHIFT® PLUS 7G-TRONIC® transmission, and an AMG® Sport Exhaust System. For a starting MSRP of $141,400, this formidable mid-level SUV includes 20-inch AMG® wheels, AMG® body styling, and hand-fitted designo® Nappa leather upholstery. 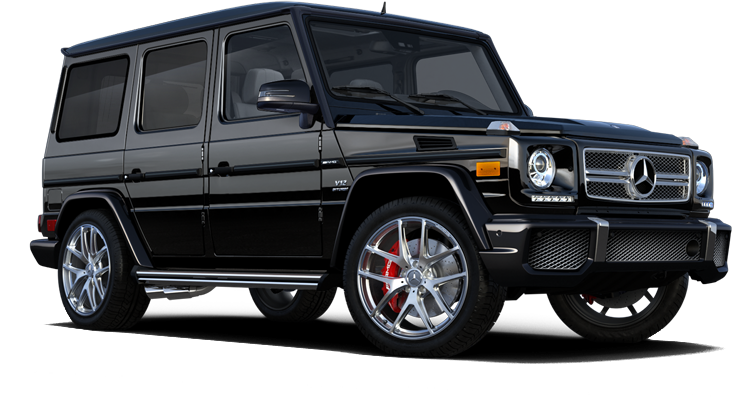 Powered by an AMG® biturbo V12 engine, the zenith AMG® G 65 SUV – $220,400 starting MSRP – creates 621 hp and 738 lb-ft of torque, allowing it to reach 60 from 0 mph in a pulse-pounding 5.3 seconds. In addition to its AMG® offerings, the AMG® G 65 gets polished 21-inch AMG® wheels, a unique front bumper with large mesh intakes, and exterior chrome accents. Available Right Here at RBM of Alpharetta! Stop by RBM of Alpharetta near Johns Creek to see what else sets the 2017 Mercedes-Benz G-Class apart from its competitors! If you have questions about the G-Class SUVs, give us a call at 678-637-2333, or leave a message for our sales team via our online contact form! Our weekly business hours are 9 a.m. to 7 p.m. Monday through Friday, and 9 a.m. to 6 p.m. on Saturday. Psst! RBM of Alpharetta won a Dealer of the Year Award! Find out what this entails!